Do you work for a construction company or have recently renovated your home? If so, there is a good chance that you have leftover materials that you no longer want or need. At South Bend Junk Removal we understand how frustrating it can be to have large amounts of construction materials in your way for large periods of time, so we decided to start offering renovation debris removal. Our construction cleanup services are great for those who need a bit of help cleaning up post construction. We wish to help you make your home look as great as it did before you started working on it. As a result, Our workers have been trained to properly clean and handle others property and belongings. This lessens the risk of anything happening and will keep our workers safe as well as they are less likely to get injured than someone without proper training. They also keep a post-construction cleanup checklist on hand that will allow them to see what all they will need to do to get your home in the best shape possible. The checklist includes multiple items that need to be done, but a great example of something that might appear on the list would be to remove any nails or sharp objects. The pricing for our many different services is by far some of the most affordable available in South Bend, Indiana. 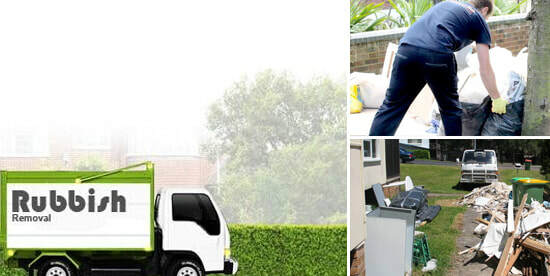 We believe that our customers should get the best value for their money and want them to be able to use our after construction waste disposal service anytime that they need. When comparing our prices to other companies in the area you will see that our pricing is by far much cheaper. This makes us the go-to source for any construction cleanup needs. We genuinely enjoy our jobs and will greet you with a friendly smile when we come to do our job. We also are able to give customers the option to use a wide variety of containers to put their waste in which will make the job much easier to complete. We strive to provide our customers with the best possible service. We will do all that we can to make sure that your new home renovation cleanup goes as smoothly as possible and gets your new home as clean as possible. Our team will make sure that your home looks amazing before they leave as they take great pride in the work that they provide to those in our local community. The reviews that we have received from others that have used our services have been great with everyone being pleased with the service that they have received from our team as a whole. Please feel free to reach out to us with any questions or concerns that you may have during our regularly scheduled business hours. We will be more than happy to assist you with anything that you may need and can recommend other services that you may be interested in as well such as metal recycling. We love talking to returning customers and new customers alike, we look forward to each call that we get and can't wait to work with you for all of your junk removal needs. We can't wait to help you with your waste removal needs.